Another snapshot from a moment in history – 1984 – the end of a “Cambrian explosion” of computers and software. The prior nine years had seen personal computing burst onto the scene with scores of different (and incompatible) computers appear on the scene. 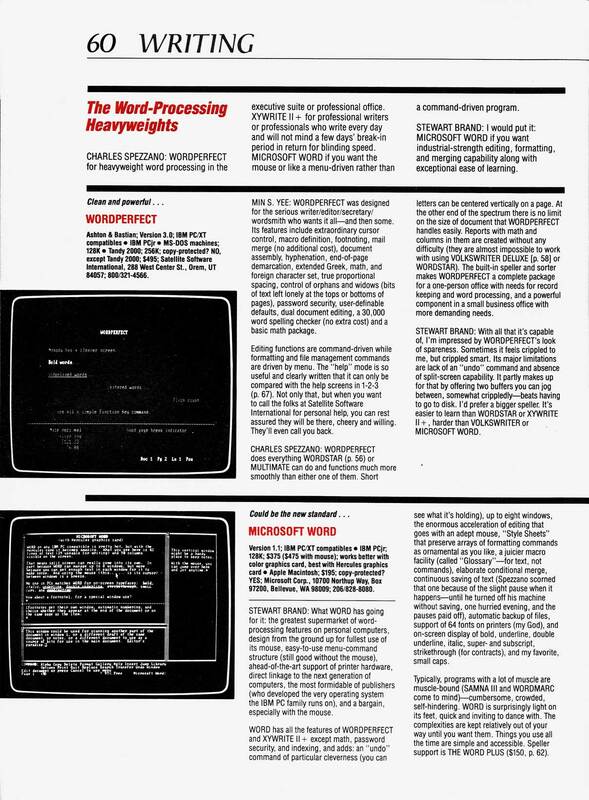 In 1984, the wild landscape was starting to settle down into IBM-type PCs, home computers from Atari and Commodore, and Apple introducing a promising upstart called the Macintosh. It was a moment when Stewart Brand and his Whole Earth crew out in California could feel an urgent calling to categorize and review what was going on with the PC revolution. 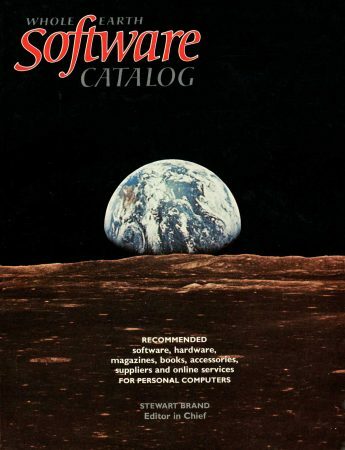 The Whole Earth Catalog had attempted this for the counterculture movement of the late 1960s, and the Whole Earth Software Catalog attempted to define the landscape for the mid 1980s. 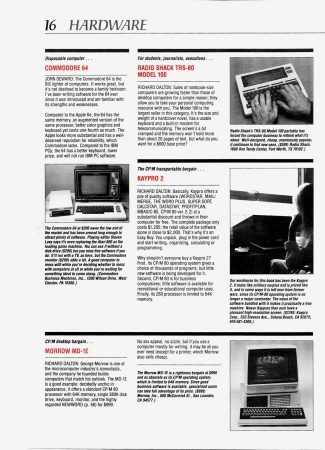 They offered opinions about hardware choices – Radio Shack Model 100? Kaypro 2? Commodore 64? Morrow MD-1E? The pithy copy is worth reading, so click to zoom in. Software was divided into activities: Playing, Writing, Analyzing, Organizing, Accounting, Managing, Drawing, Telecommunicating, Programming, Learning, and Etc, in which they reviewed the most interesting and important programs of the day. Most apps received a succinct half page overview and a single black-and-white screen shot (which matched the screens of the day). 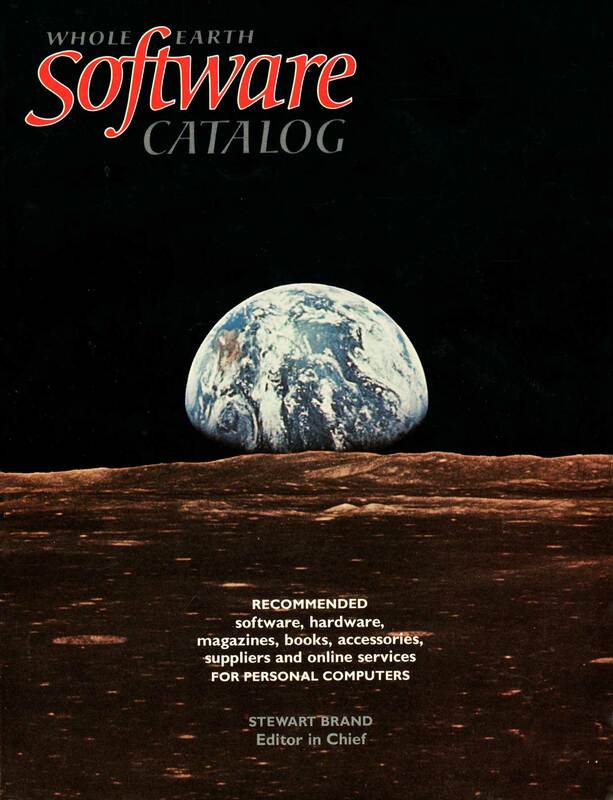 Like the Cambrian Explosion, the Whole Earth Software Catalog now functions as a record of software fossils that once ruled the scene but are now long gone. Wordperfect is a…ummm, perfect, example.